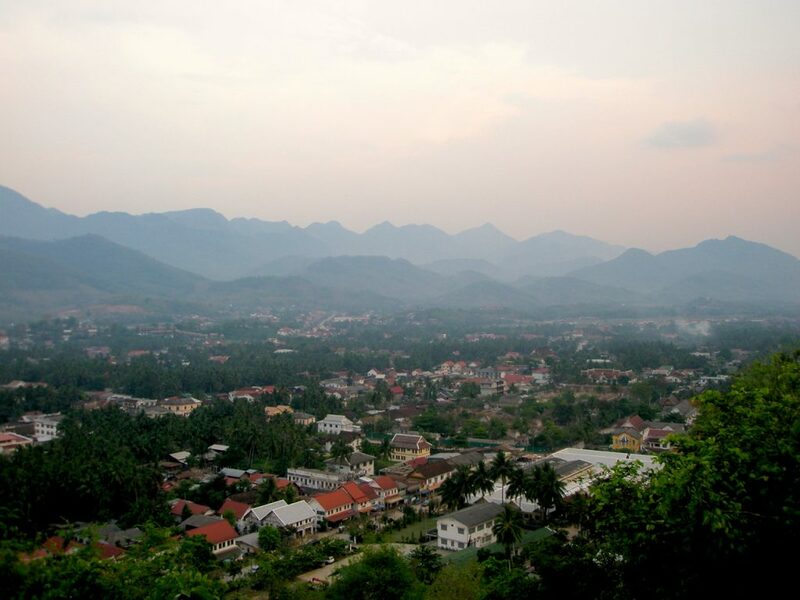 The French colonial town of Luang Prabang appears almost like a mirage out of the Laos jungle. 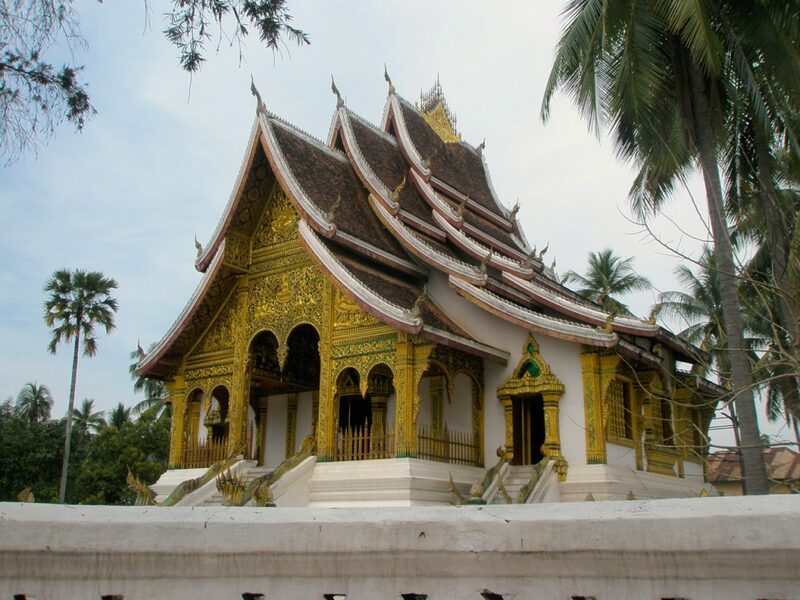 Situated along the shores of the Mekong River, Luang Parabang has long been the seat of Buddhism in Laos- it is PACKED with temples, monasteries, and monks. Along with this, Luang Prabang boasts one of the premier night markets in all of Southeast Asia, with vendors hawking all kinds of arts, crafts, knock-offs, etc. The street food here is incredible, and CHEAP. Luang Parabang also has a couple of natural wonders worht checking out- the Kuang Si Waterfalls and the Pak Ou Caves. Add to all of this amazing food, friendly locals, and a surprisingly hip nightlife, and you’re sure to LOVE Luang Prabang. We do. Hmmmm... This can be a bit of a challenge, especially if you are coming over from northern Thailand at the Huay Xai border crossing. The three options are: 1) the ‘fast boat’- an exceedingly dangerous speedboat ride down the unpredictable Mekong; 2) the ‘slow boat’- an exceedingly slow trip down the Mekong on a dilapidated and often over-crowded live-aboard; 3) The ‘locals’ bus’- an exceedingly arduous overnight bus ride through innumerable villages in the Laos countryside. Good times! 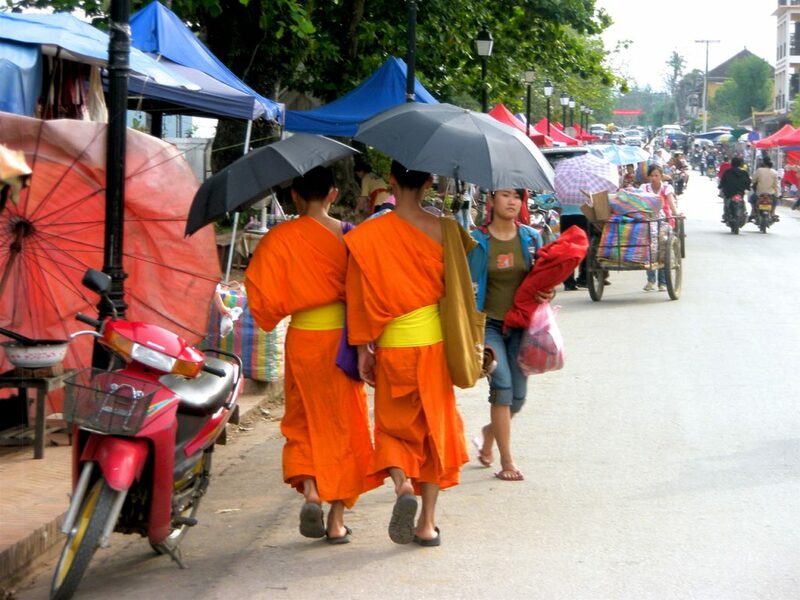 Wander through town- there are so many temples, wats, and monasteries in Luang Prabang, it’s impossible to avoid them. Take a stroll through town to take it all in. Find a deal at the Night Market- the night market in Luang Prabang is an experience in and of itself- It is HUGE, there are so many different stalls, and just walking along, chatting with the vendors is a riot. The food here is delicious, and CHEAP. 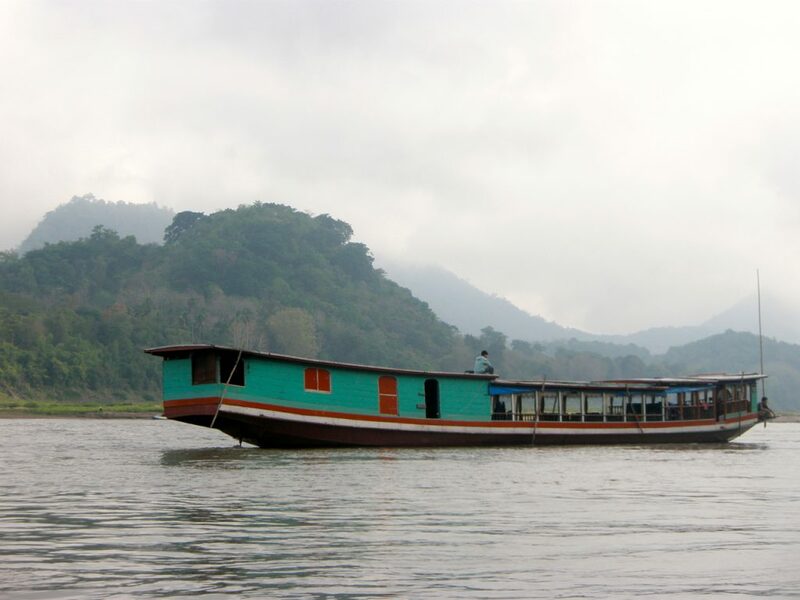 Eat a meal along the Mekong- the river bank is lined with open-air restaurants serving all types of food- a great way to relax an unwind with a cold BeerLao. 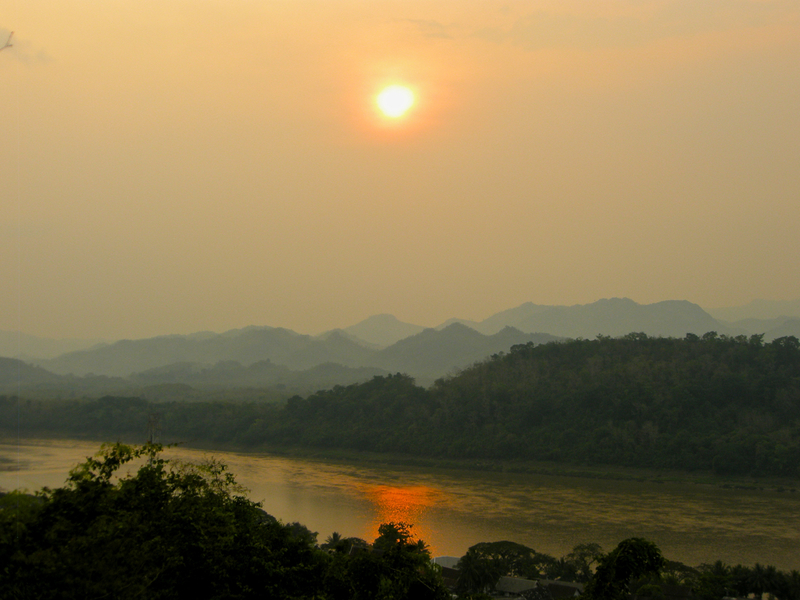 As mentioned above- go early to secure a good spot if you want to take some sunset photos from atop Mount Phou Si. Prime real estate goes quickly. If you’re taking the overnight bus from Hauy Xai, try to have your accommodation organized ahead of your arrival in Luang Prabang. As like most other stops in SE Asia, there will be tuktuk drivers waiting to take you to overpriced places where they’ll earn commissions- if you’ve already got a place booked, you’ll save yourself some early morning angst. If you find something that you like at the Nigh Market, don’t put off buying it, thinking ‘I’ll get it tomorrow night...’ Chances are, you won’t be able to find the same vendor the next night, as they move around at random. If you want it, negotiate a fair price, and buy it.